First published in the Limerick Leader on the 07/06/15 by Anne Sheridan. 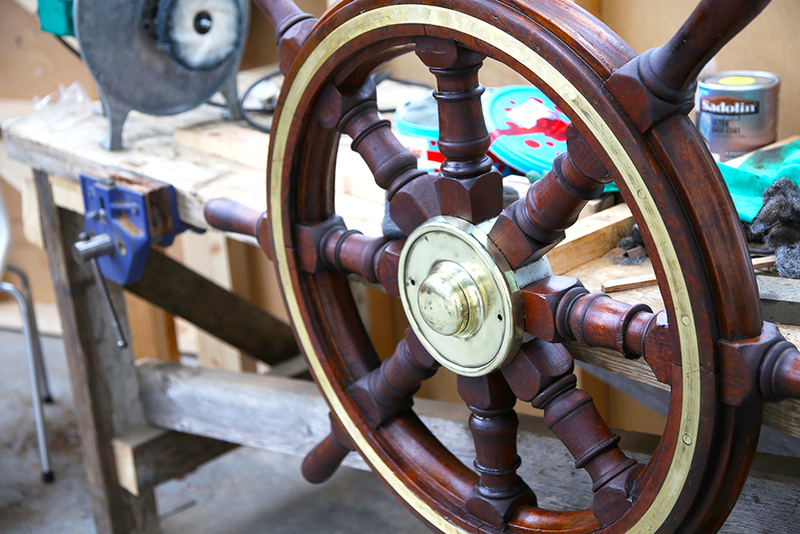 With the wind in their sails, a crew of boat builders in Limerick are now piecing together one of the crucial parts of a ship’s infrastructure on a famous sailing vessel. The vessel is being patiently restored in Hegarty’s boatyard in Old Court, near Baltimore in Cork, with materials transported from Limerick, after being crafted by skilled tradesmen and younger recruits who are signing up to learn this forgotten skill. It will take some 10 months to complete the rigging in Limerick before it is installed in Cork. Speaking to the Limerick Leader, Br Anthony Keane, of Glenstal Abbey, said this week’s work is of major importance to the future life of the ship. “The great rigging for the Ilen is now being assembled. 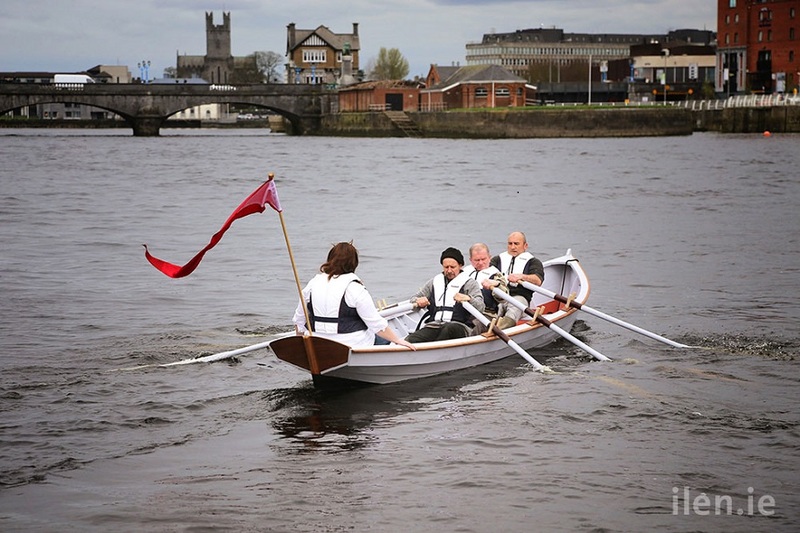 This is the first time it has been done in Limerick in 100 years. The timbers are being laid out, and we are making giant steps every day but it will be next year before the ship comes sailing in May 2016 is what we’re hoping for if everything falls into place,” he said. Br Keane, one of the directors of the boat building school, explained that the rigging is necessary to hold up the mast and haul up the sails, and also to control the size and angle of the sail, depending on the wind. Mr MacMahon added that the rigging is a “significant phase” of the works, and that there has been great support from the community. “The rigging will be finished here and brought to Cork next March. We have been audacious enough to set a date for its return to the water, hopefully next May, but it will sail. There will be a few sea trials and then it will sale up to Limerick, where the interior of the vessel will be fitted,” he said.